Four Singaporeans embarked on an epicurean journey around the globe to enjoy good foods and also in search for culinary inspirations. Their wishes came true when they scoured New York and they saw how people in the Big Apple couldn’t get enough of this newly found variant of fried chicken that came from Korea, instead of the traditionally known American-style fried chicken. In awe with how it tastes, the quartet return back home and introduced the trend for us here in Southeast Asia. 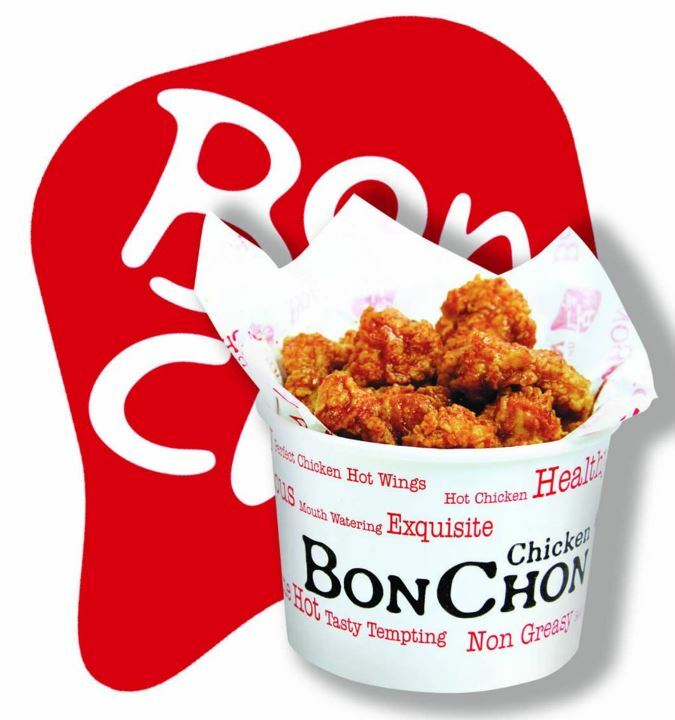 Korean-style fried chicken is probably represented strongly by 4 Fingers’ real competitor here in Indonesia by BonChon with its numerous outlets. Instead of introducing itself as a family restaurant, 4 Fingers appeared more like an underground movement thanks to its distinctive appearance, and that’s probably why people don’t really take it too seriously here. Inspired by urban New Yorker style, 4 Fingers appears more like a hip hop community who likes hanging out with their hoodies, riding skateboards, and playing around with authorities with their graffiti arts. Need not be afraid of that and dive in to see what they have inside with their version of fried chicken. Fried chicken in Korea is probably like when you find gorengan (fritters) in Indonesia. It’s for anyone, anytime, and anywhere, especially as a bar food. The real difference lies with the frying technique and the skin appearance of the fried chicken. Firstly, they don’t marinade the chicken, they fried the chicken twice thus rendering it from the fat and making the skin thinner but still maintain its crispiness. Afterwards they rub the chicken with either soy garlic sauce or the piquant sauce that tastes so good. 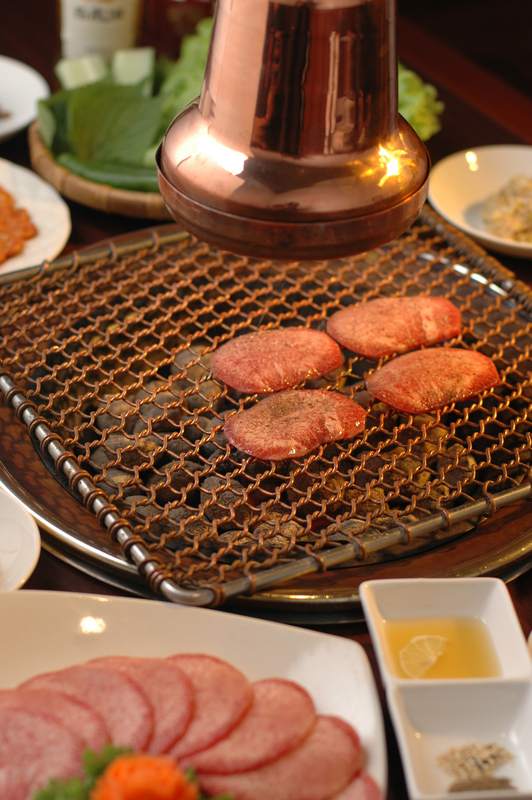 To make it even healthier, Koreans usually fry it fresh and they don’t use any heat lamps at all. It’s indeed a radical movement that even the Western people cannot help but to love it. 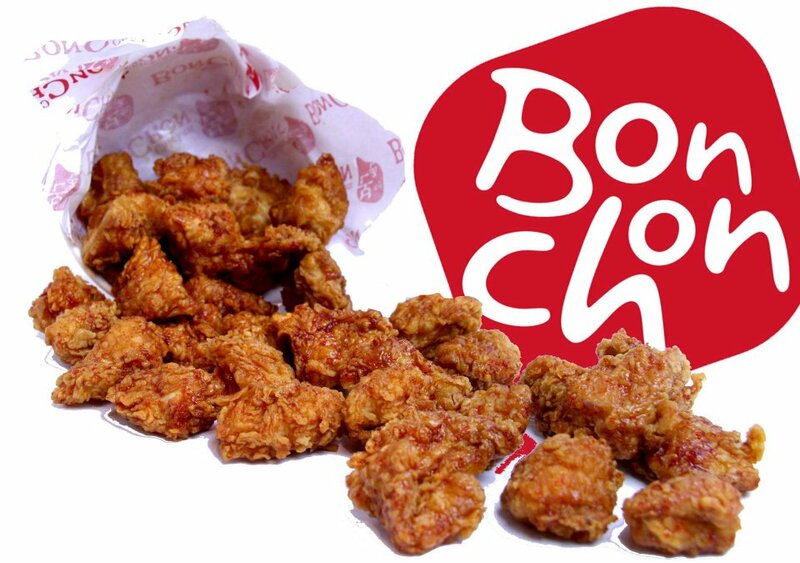 4 Fingers’ version slightly differ from BonChon as they use chicken of larger size (unlike BonChon who standardized it heavily to keep it on medium size) and it has a thicker skin, more like the Western version but only slightly. The sauce was immaculate and you have to try combining the chicken with the sauced rice, which I think it’s like a version of teriyaki but more spices in it. Additionally their calamari also tasted impressive although unfortunately they ran out shrimps that day which actually the official camaraderie of the squids. By the way, later I found out that this is a problem also in other outlet either in Singapore or The Philippines. The only major downside was the service. I arrived around 2 pm that day but they didn’t seem to prepare themselves at all. There’s only one cashier available and she wasn’t briefed about the IDR 15,000/3 chicken wings promotion. Additionally, our iced mint tea was not get any sweetening at all and then later we were given sachets of sugar for it instead of simple syrup by an unfriendly staff. I think my previous two visits were tainted by slow service as well. But you know what they say, ‘As long as the food is good, we don’t mind’. Usually this doesn’t work for me but the food was really good that day and they nailed it against BonChon big time! Although the price may be steeper than BonChon, I think it’s still worth the visit once in a while. Your turn now. Piscator is the latest addition of all-you-can-eateries in Jakarta resided in the all-new but still quiet Epicentrum Walk. 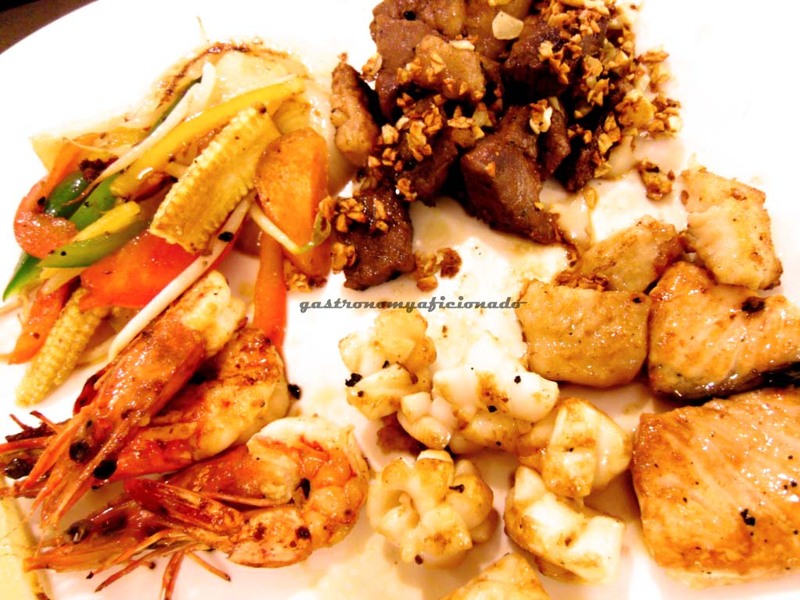 While others promoting the usual yakiniku and shabu shabu, Piscator introduces the seafood genre. Anyway, exactly like the theme, you’ll get a feeling like you’re on aboard a ship because everything seemed to be related with the sea. So just hop in and you’ll see ship models everywhere, sands, circle windows, enormously long buffet table with the sails, and some waiters even arrayed in sailor clothes. Despite the Western name that has something to do with fisherman/fishery, Piscator owes much to the nationality of its head chef. 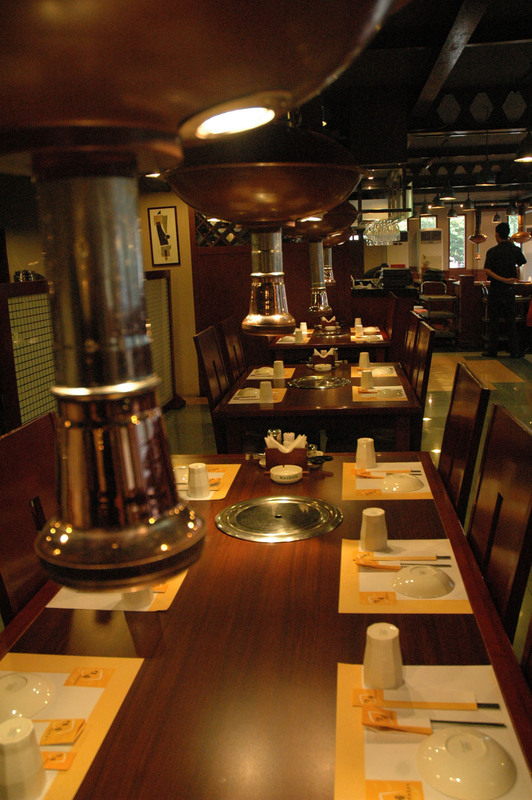 The dishes are mostly touched with Korean influence and thanks also for plenty of Korean expats patrons. However, to make it more universal, Piscator also adds Japanese theme and seafood grills in it. 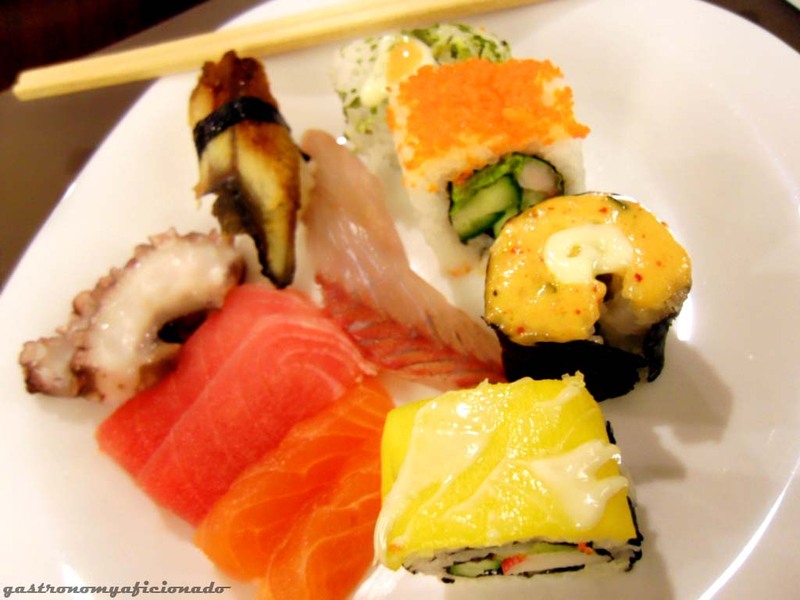 For instance, pick the sushi and sashimi first just to get the feel about the food. Not too many variants but I bet you’d already acquainted with tuna and salmon. As additions, pick the tako sashimi, unagi sushi, salmon sushi or just one of those sushi rolls with kyuri, crab sticks, and the other one covered with mango plus the usual California roll. All was good and would bolster anybody’s appetite for the next dish. The Japanese theme doesn’t end there as you can also pick Oden and Tempura. Aside from the sushi and sashimi for the opener, Piscator also have plenty selections of appetizers. The raw oysters were fresh and solid, though a bit small in size and missing the watery good of it though you can add lemons for a more fresh sensation. The fried prawns with mayo proved to be very delectable with all the crispy and sweet exterior sauced with the thick mayo. The steamed shrimps were ripe for plunder and so were the crab salad with the snail salad. Even so the seafood gratin which consists of scallops and mussels, however inviting, were not that special. They were lacking in characters of the cheese, the dressing, and most of all, the taste of the original scallops and mussels themselves. 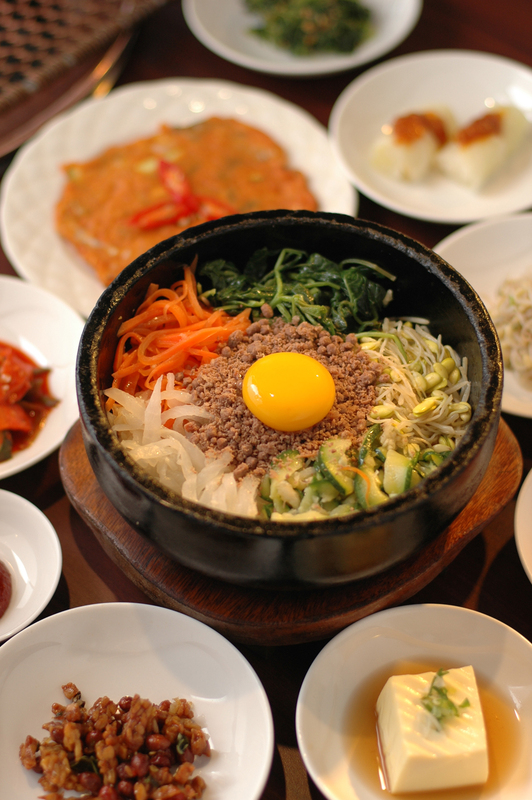 However, it can be quickly mended by plenty other selections such as the traditional kimchi salads in many variants up to the soup and noodles with fish balls, mushrooms, and vegetables. 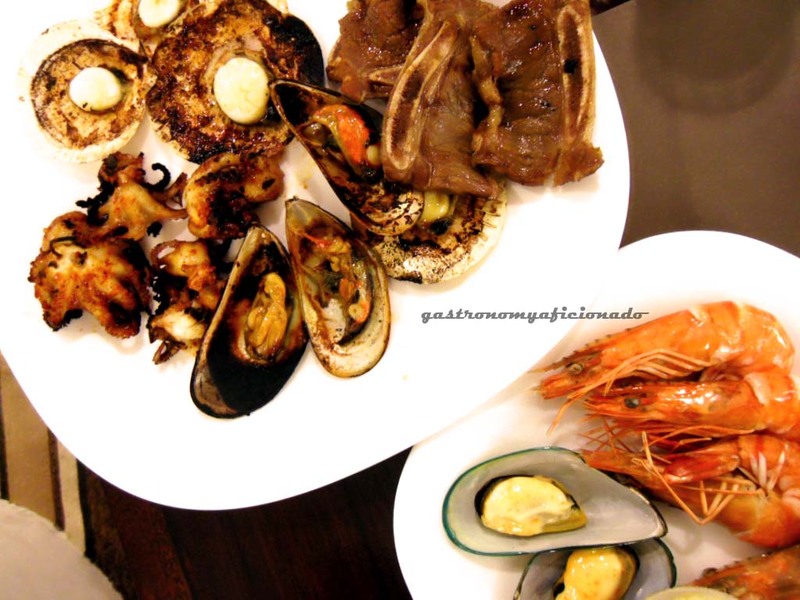 The best part would be the displayed seafood in front of the grill and teppanyaki sections. Simply pick anything and as much as you want. 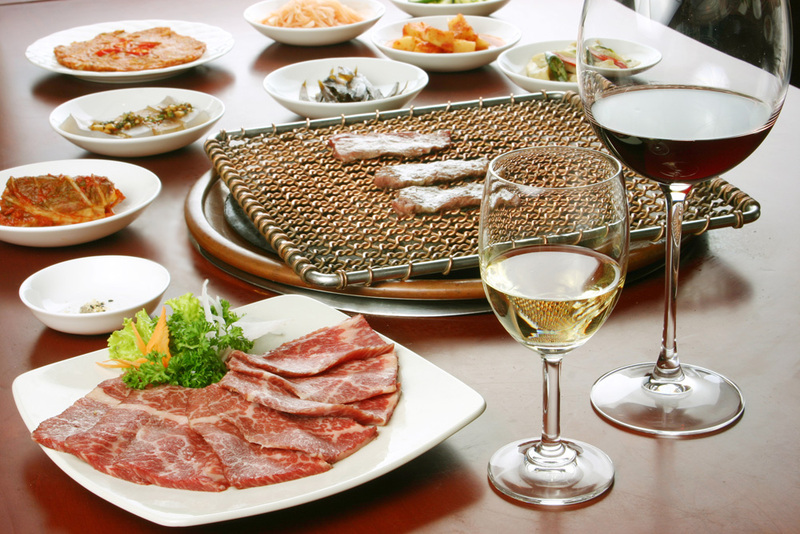 Starting from marinated squids, Bulgogi, Galbi, shellfishes, bamboo clams, pomfret, prawns, dory fish, gindara, salmon, and USA beef. Just hand them over and wait for the cooking process. The wait’s worth it actually. 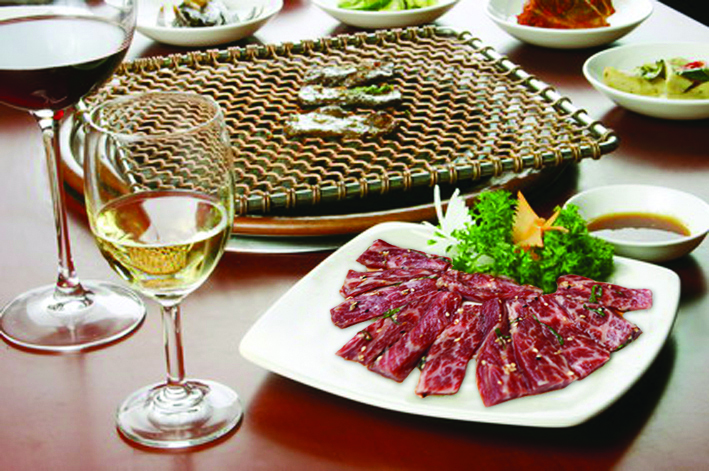 After the grilled seafood or Korean beef came, simply dip it in sauces of your choice. I’d recommend the traditional Indonesian spicy and sweet soy sauce or the Japanese yakiniku sauce and you’ll be sure to hit the same portion again at least twice. Despite the attempts to make the all-you-can-eat experience colorful, the main dishes on the buffet seemed to be largely neglected. 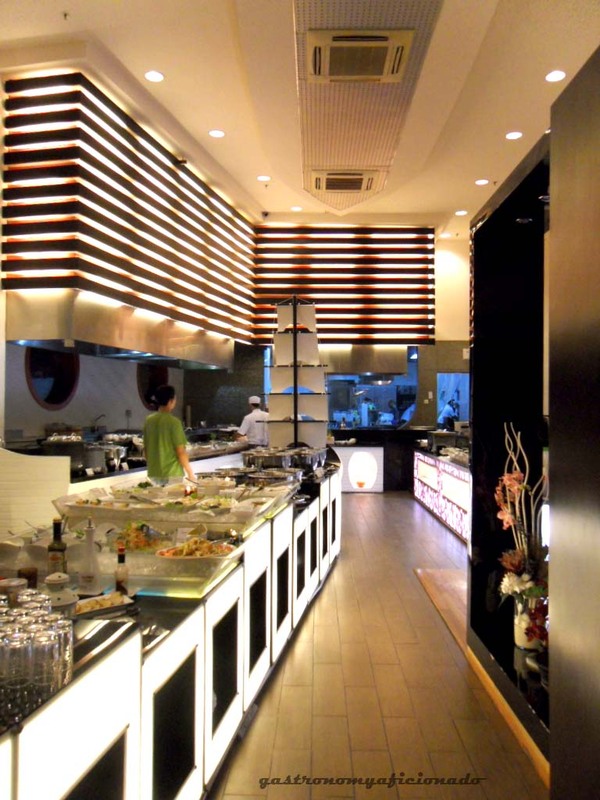 People would go over the seafood grills, the teppanyaki, or just simply the inviting appetizers and sushi section. 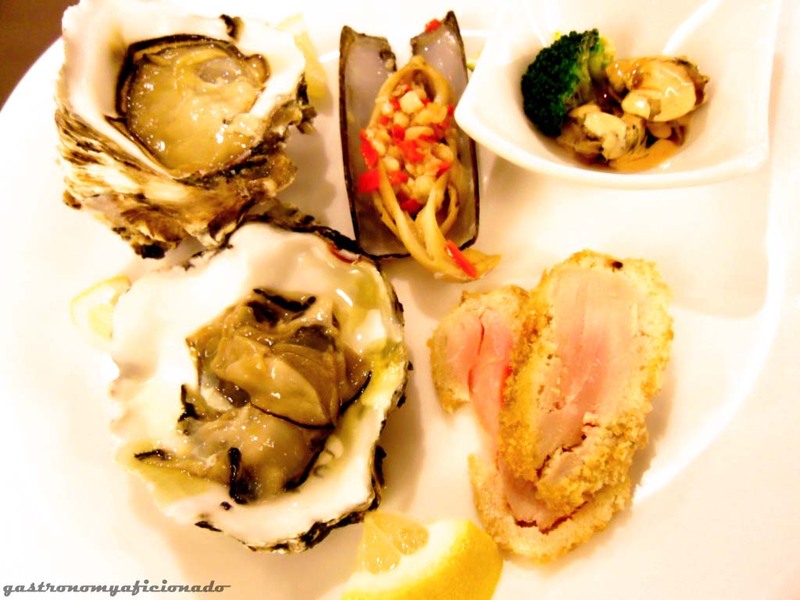 Nonetheless, Piscator successfully generates plenty of choice, serves fresh seafood, helpful service, and a valuable all-you-can-eat experience aside from the quite hefty sum we need to pay. So tag your friends along, celebrate the night, avoid too much drinks so you can save enough space for your tummy, ravish the goodness Piscator has to offer, and end the fiesta with scoops of good old ice cream.